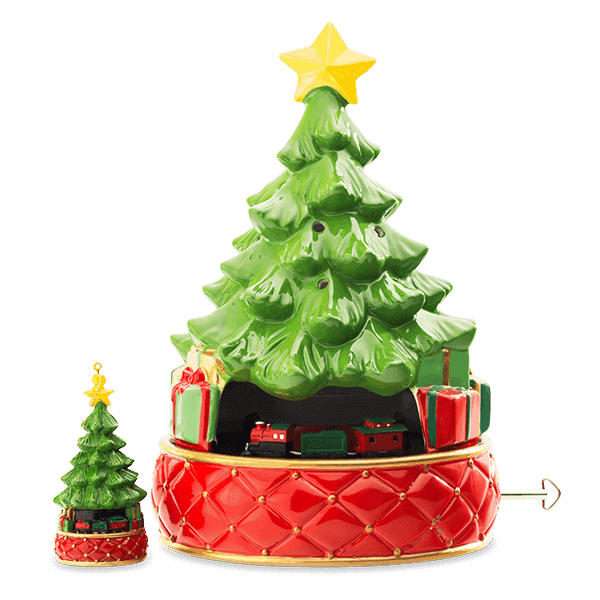 The joy of Christmas comes to life with the limited-edition 2018 Tannenbaum Express Warmer — our first to feature music and a moving train. A unique number stamped on every warmer, so each one is a collector’s item. A train that circles as the music plays. 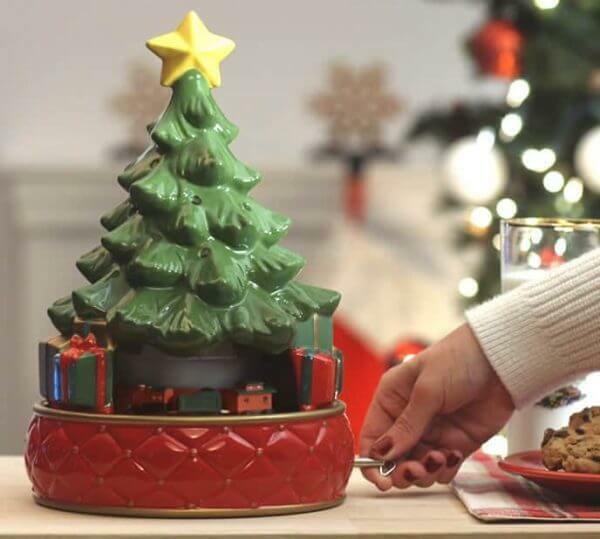 A Christmas ornament (a replica of the warmer!) with every purchase. You guys have cutest warmers. I just bought this, and will be sending my friends your way – thank you for answering my questions, your live chat rocks!